As expected, participation in the vote for the Venezuelan constituent assembly was low–about 15% in contrast with the July 16 popular consultation convened by the opposition, which attracted three times more participation. According to data offered by the opposition, about 2.45 million out of 19 million registered voters voted in the government-convened election on Sunday July 30, while 7.5 million voted two weeks earlier. This seems to be confirmed by foreign correspondents who reported empty polling centers. This proves beyond any doubt that the regime of Nicolas Maduro is not legitimate and that it is therefore natural and imperative that Venezuelans, as well as the international community, disavow the current government. 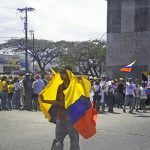 When the results of a popular consultation on July 16th certified the illegitimacy of the government of Nicolas Maduro, the opposition gave the green light to continue popular demonstrations against the regime. The opposition also encouraged these protests to continue on the day of the vote of the constituent assembly despite the fact that the Maduro regime promised 10 years in prison to anyone who protested the vote. The people responded to the opposition’s call, undeterred by the regime’s threats. The opposition’s strategy so far has been correct, but the next steps must be cautiously planned as well. Demonstrations must continue as the international community imposes economic sanctions aimed at pressuring the regime. These sanctions began with the Trump Administration’s decision last week to punish 13 Venezuelan senior officials with Colombia and Panama following suit. These punitive measures may increase, as the United States government has considered sanctions on the Venezuelan oil sector if the Maduro government were to go ahead with the vote on the constituent assembly. Thus, the Venezuelan opposition could now consider working simultaneously on two paths, one international and one domestic. 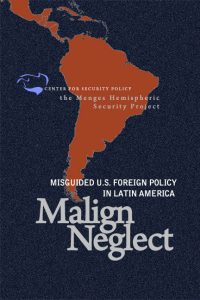 At the international level, it must persuade Latin American governments to follow in the footsteps of the United States, Colombia, and Panama. Opposition figures must travel abroad in an effort to isolate the Maduro regime, while U.S diplomats must join these efforts in order to persuade Latin American, as well as European countries, to support the will of the Venezuelan people. By the same token, the opposition must deepen its domestic strategy and continue to weaken the government by offering incentives for defection. The current situation in Venezuela has generated fear of a civil war. In order to avoid such a bloody scenario and accelerate Maduro’s downfall, the opposition must offer amnesties to those military, police, magistrates, administrators, and other members of the Chavista apparatus who are willing to abandon the government now. However, the opposition must make clear that those pardons should not apply to those individuals who have been involved in crimes against humanity or have been responsible for human rights violations. Such mechanisms would encourage those trapped between their desire to abandon the regime and their fear that Maduro’s demise may lead them to prison or even worse. Of course, there will be some who reject this proposal, comparing it to the negotiations between the Colombian government and the FARC. However, the Venezuela the situation is diametrically different. 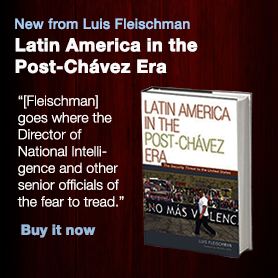 When President Juan Manuel Santos decided to negotiate with the FARC, the latter was on the brink of defeat. Thus, it was argued that a negotiation with the Colombian guerrilla group would confer the FARC power they would never have had if their fate been decided on the battlefield. But in Venezuela, the Maduro regime, although it has lost popular power and legitimacy, has not been stripped of its capability to use violence and coercion. A fierce government reaction could set a prelude to a bloody and cruel civil war, of which the signs are already there. (Indeed, on election day July 30, 15 people were murdered, some reportedly shot to death by a squadron. Likewise, a government candidate for the constituent assembly was murdered in his home). In order to avoid such situations, incentives for defection need to be publicly advertised. For the first time in 18 years, the opposition has a chance to take the initiative and control on the transition to democracy. So far, the opposition has acted wisely; it must continue to do so.